Is This the Nation’s Most Stylish Living Room? - The Turtle Mat Blog - For news, features and competitions! The Turtle Mat Blog – For news, features and competitions! Rebecca Wilson on the subject of Uncategorized. Posted on September 1st, 2016. The personal style and palette of a living room can say a lot about a person. From eloquently modern sofas and wonderfully rustic wooden flooring to wallpaper that lustrously glitters and lava lamps that channel the 70s. Everyone has their own individual interpretation of what works and what doesn’t. With that being said, you might assume that the most searched for colours for a living room on Google would be something fairly bland, such as cream or beige. Perhaps a fawn carpet and a standardised leather sofa added in for good measure. 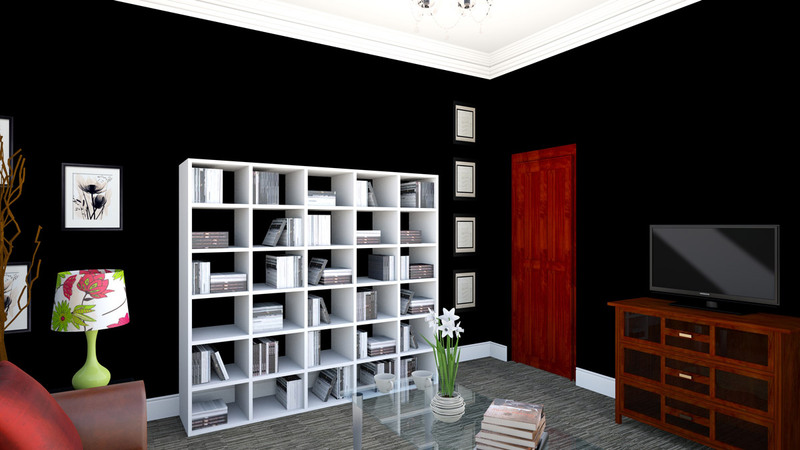 Surprisingly, the most popular wall colour was black, which was followed closely by silver and black striped wallpaper. This clashes ineptly with some rather unfortunate-looking floral lamps, as well as a brown leather sofa with accompanying red cushions and a classic sheepskin rug. How does your house compare? Do you have any of these features in your home? We would love to know, so send us a picture or get in touch on Twitter @Turtle_Mat. This entry was posted on Thursday, September 1st, 2016 at 2:27 pm; on the subject of Uncategorized.